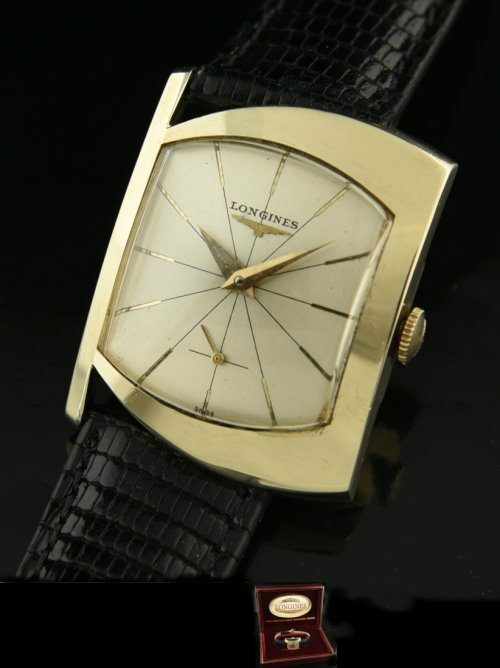 This is an uncommon and cool vintage 19623 LONGINES is a very clean gold filled case measuring 25.5×32.25mm. 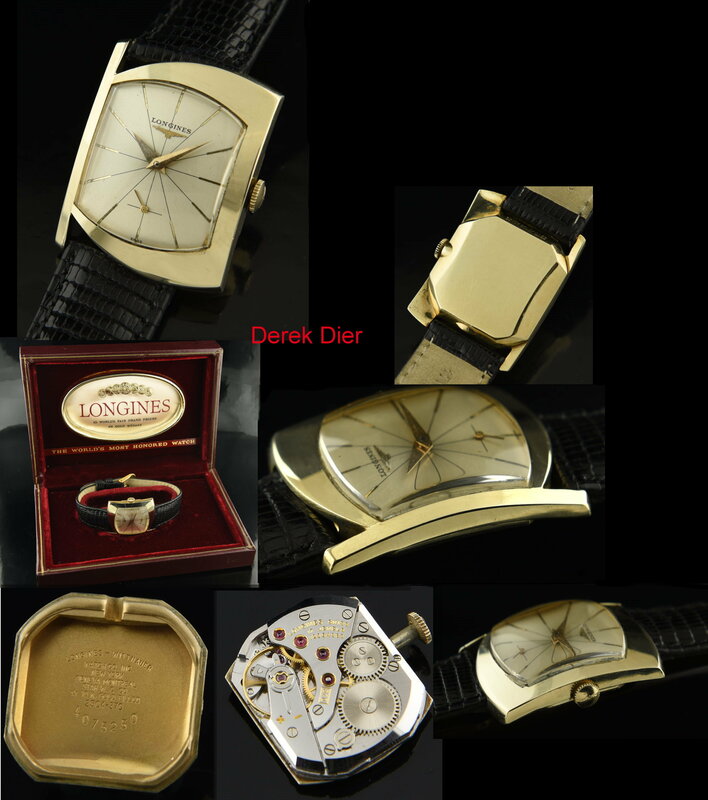 which is an average size 60’s dress watch (not large-smaller and subtle) and offers that true 1960’s retro styling. The asymmetric case really will attract many eyes to your wrist. The manual winding LONGINES movement was just cleaned and is accurate. The dial and hands are completely original. I love the baton markers with the print extending like a ray the the mid-section. The original LONGINES crown is still present. We bought this from the original owner who even kept the original box.